You'll love the combination of perfectly spiced ground beef, sweet corn and crunchy, fresh toppings served in an imaginative edible bowl. Finely chop the onion and garlic. Drain and rinse the corn. In an oiled skillet, fry the onion and garlic over medium heat until translucent, about 3 minutes, stirring occasionally. 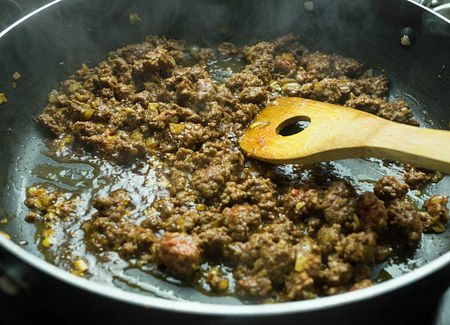 Add the ground beef and brown, stirring until the meat loses its pink colour, about 5 min. Cut the cucumber and the pepper into thin slices. Chop the cilantro. 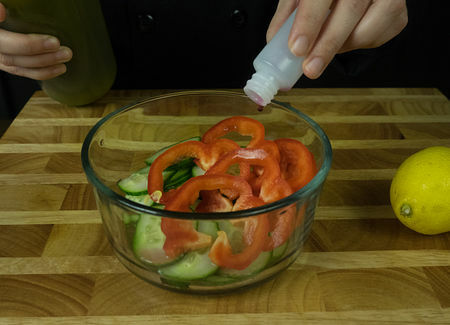 Put in a bowl and pour in 1 tbsp of olive oil (2 tbsp for 4p), salt and pepper to taste. Juice the lemon and squeeze in the juice. Set aside. 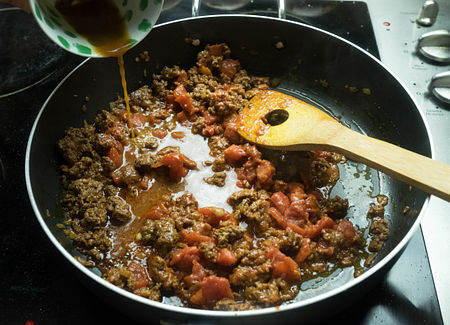 Add the tomatoes and their juices to the pan with the meat and add spice mix and corn. 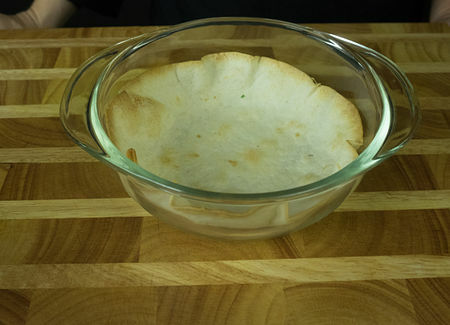 Place each tortilla in an oven-safe bowl and bake for 10 min. The tortillas will take the form of the bowls. Add the broth cube and 1/2 cup of water (1 cup for 4p) to the pan. 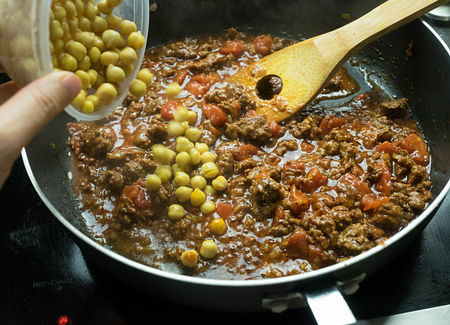 Pour in the chickpeas. Salt and pepper. Cover and simmer 2 min and remove from heat. 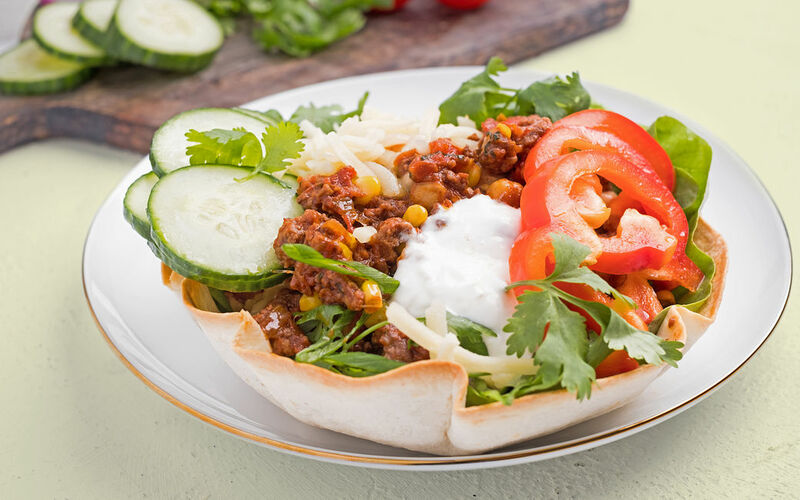 Divide the lettuce leaves in the tortilla bowls, top with the meat mixture. Arrange cucumber salad and a spoon a dollop of sour cream on top.